Would like to get the new house automated to include the complete home automation system as well. 1.Should i intereact with the builder to get them installed or get a seperate company to install it...in that way i will save money..no markups. 2.What type of system would be the best,wireless,seperate cable or using the mains power line(X10 system)? 4.Are there any maintence issues that i need to be aware off? 5.What the price range...ballpark figure? 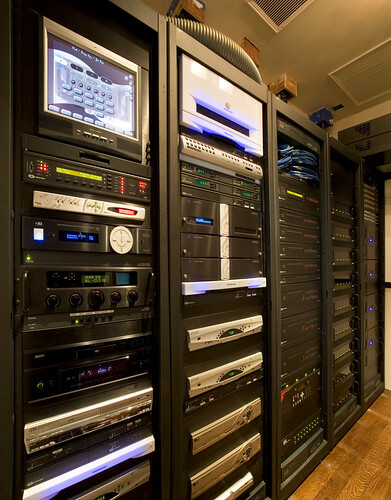 When you say home automation, are you talking lighting control a bit of integration with music/theatre type things or are you talking a fully integrated system controlling security, HVAC, music, theatre, lighting, retic, gates etc etc etc. If you want bells and whistles, look at Crestron. If you do, just make sure you're pockets are very deep and full. HAI offers 10x more than both Crestron and Clipsal for 1/3 the cost. And I'd probably steer clear of X10 unless it's only a minor part of the system. I have some stuff at my place but it's pretty old technology and can be unreliable. You must have too much time & money on your hands if you want to keep an automation system going as well as all the other things in a modern house. What are all these 'toys' of which you speak. This is REAL HA. Now away with your childrens play things.